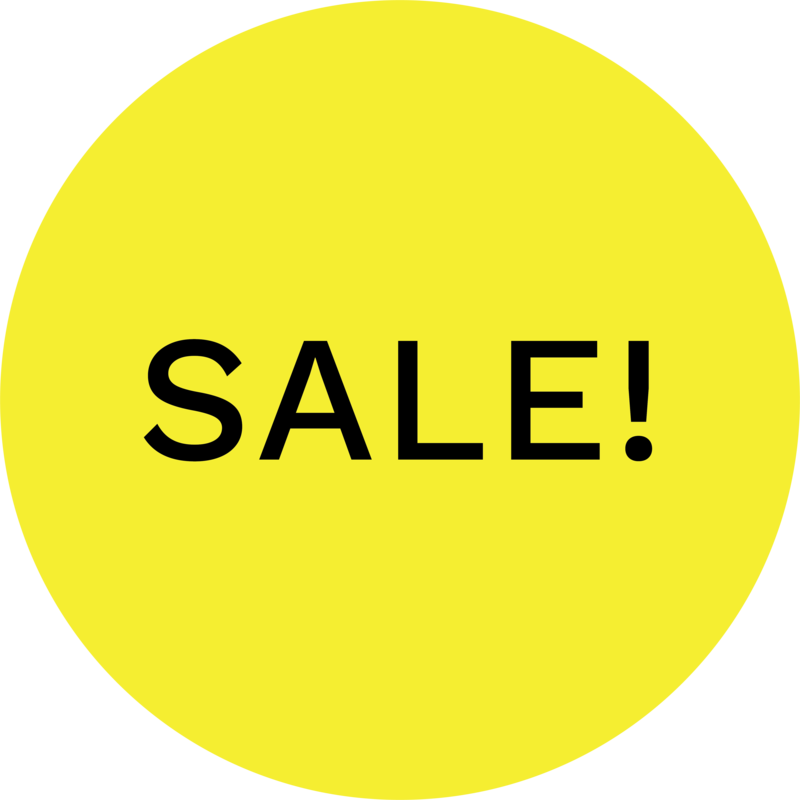 Choose your colour combination and ask for assembly at checkout if required. The Flexa Play Bed – White with a modern retro look is perfect for young children to cool tweens. 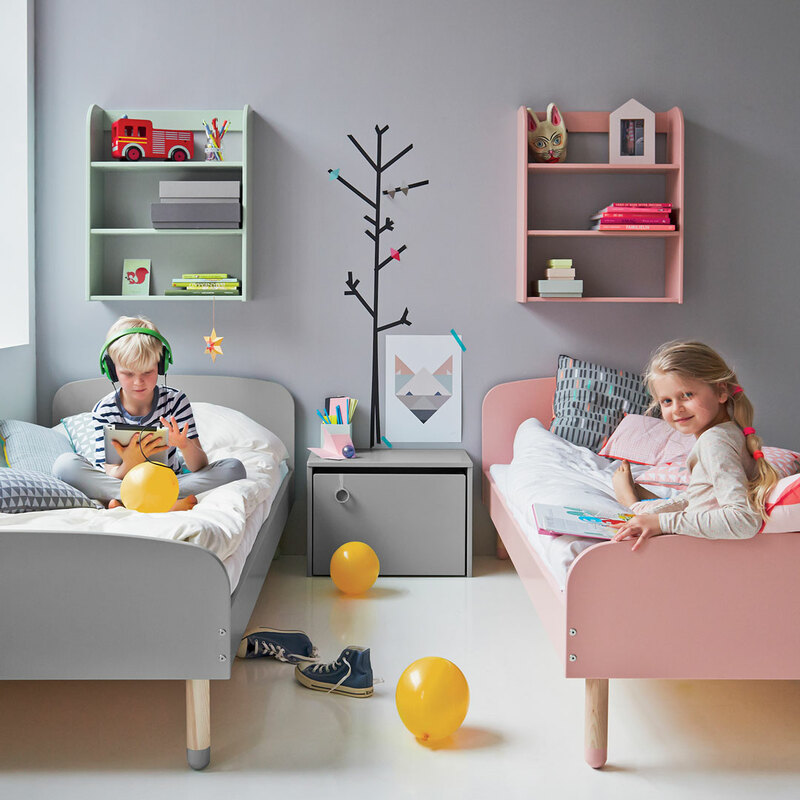 The organic shapes and funky pastels combined with a strong Scandinavian design look will brighten up every child’s room. 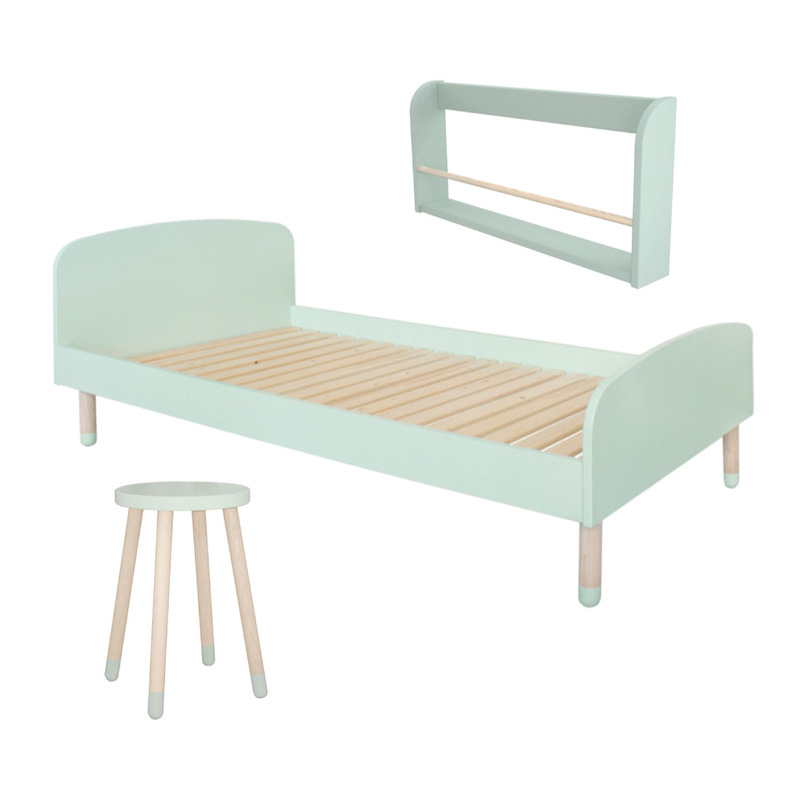 The beautiful legs made from the finest ash bring lightness and warmth to the bed and the coloured feet add a playful touch. 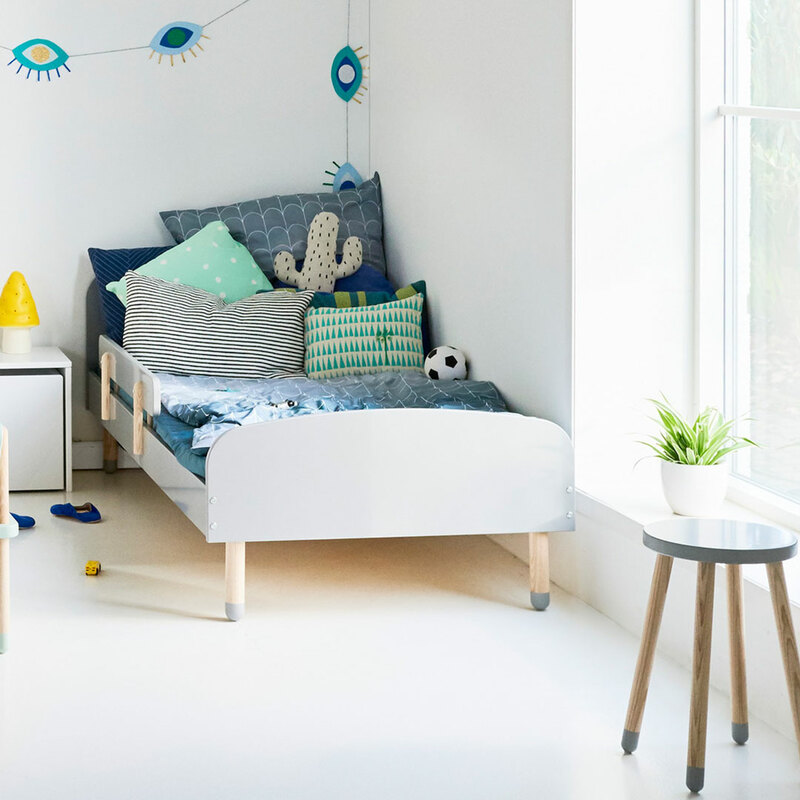 Add a bunch of pillows and the bed doubles-up as a practical mini-sofa – perfect for the playroom. 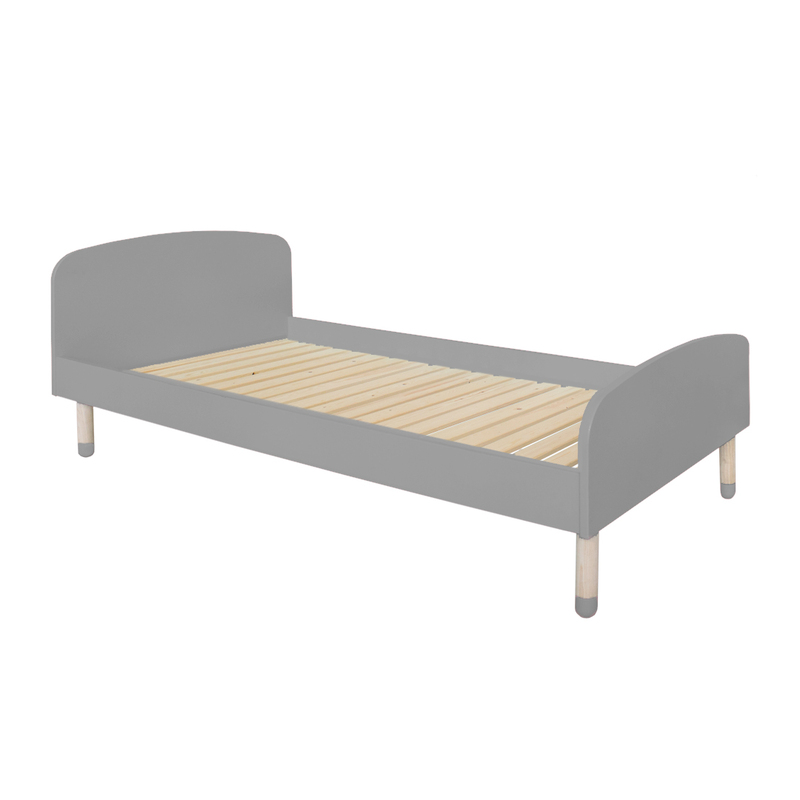 A Play Safety Rail (or two) can be added to the Flexa Play Bed for added safety when used as a toddler bed (available separately). This bed forms part of the new Flexa Range of luxury Single Kids Beds designed and made by Danish experts. The Play Display Shelf by Flexa is a beautiful storage unit to display your child’s favourite things in a colourful way. The small shelf with its ash wood rail assists in organizing books, toys and other small objects. 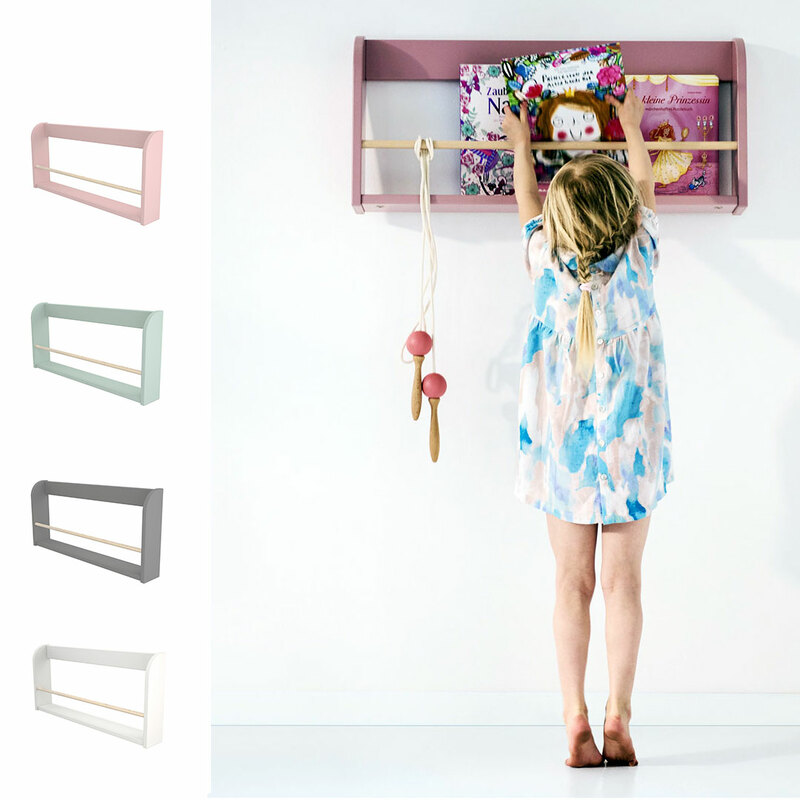 The shelf can be hanged on the wall to display your little one’s personal treasures. The Play Display Shelf is available in a choice of Flexa’s trendy hues of Grey, White, Rose or Mint. 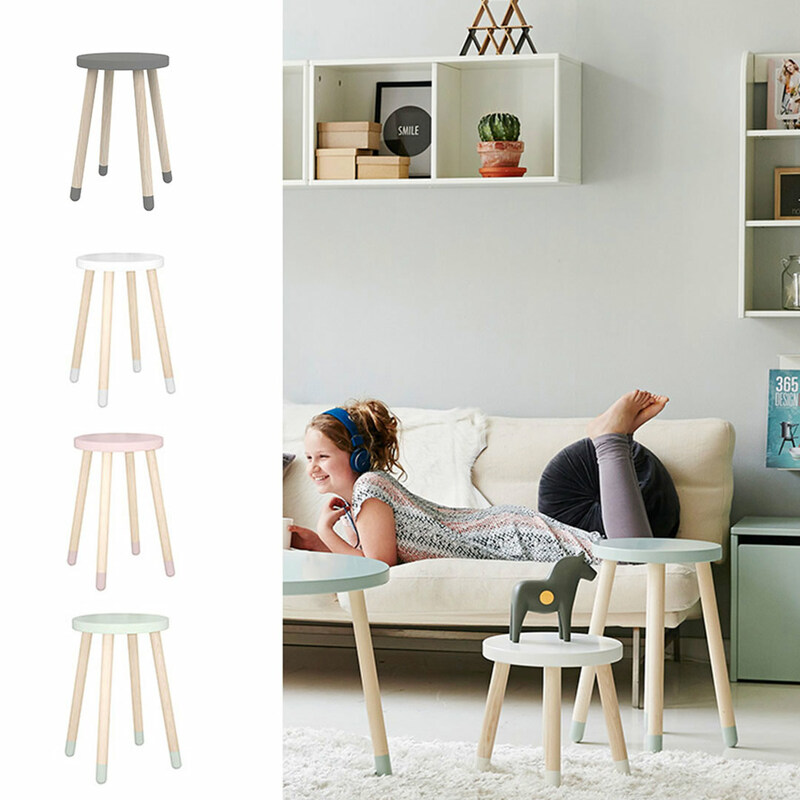 The Flexa Play side table matches the Play range of furniture perfectly. 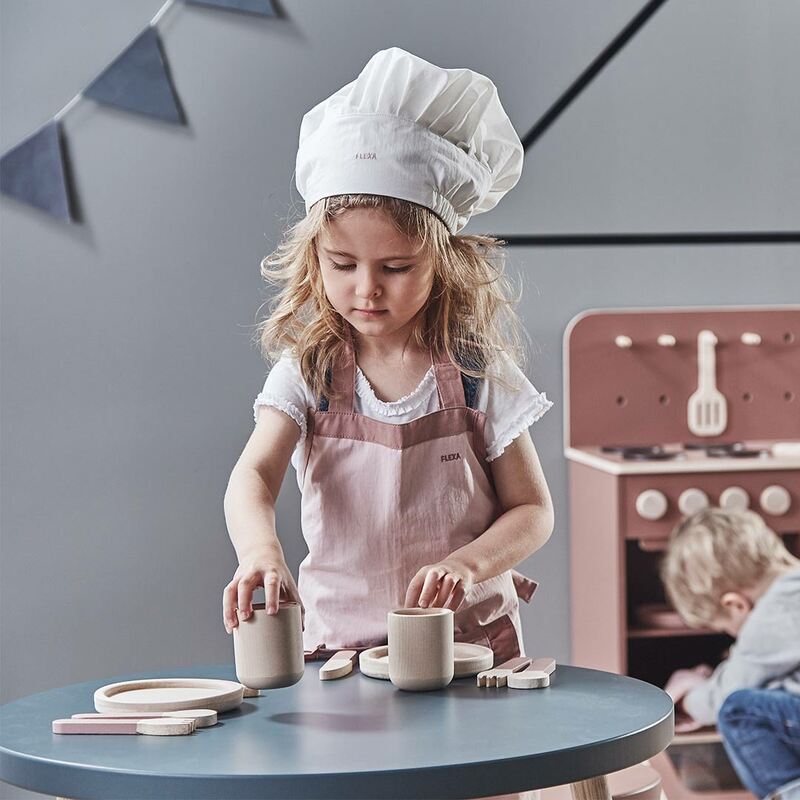 The organic shapes and funky pastels combined with a strong Scandinavian design look will brighten up every child’s room. The beautiful legs made from the finest ash bring lightness and warmth to the bed and the coloured feet add a playful touch. This product is not intended for use in any other way than indicated on the assembly instructions. 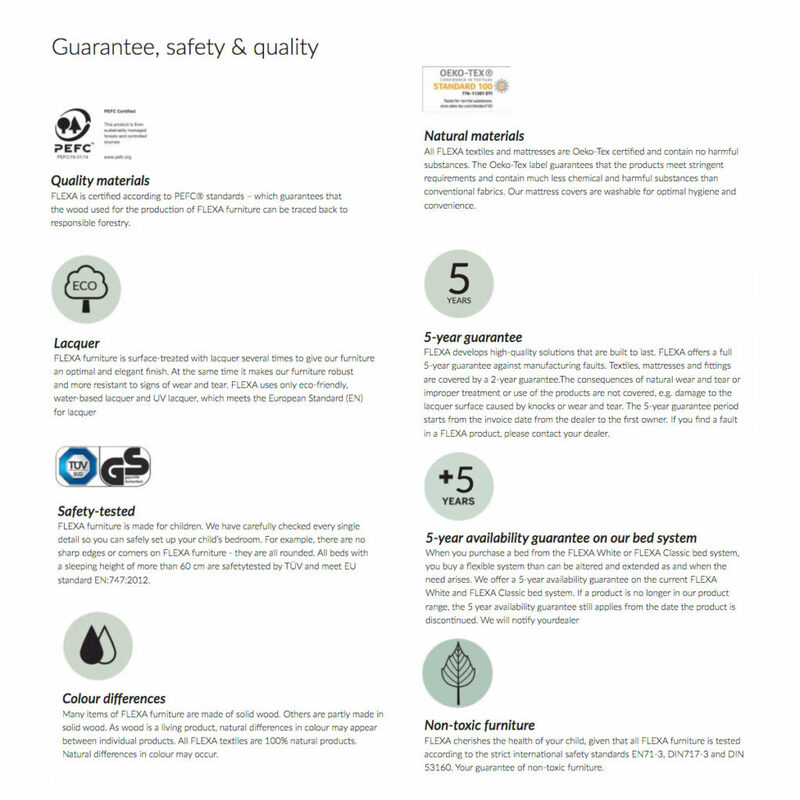 Incorrect use, playing, climbing or jumping on this furniture may result in damage to the components or injury to the child.